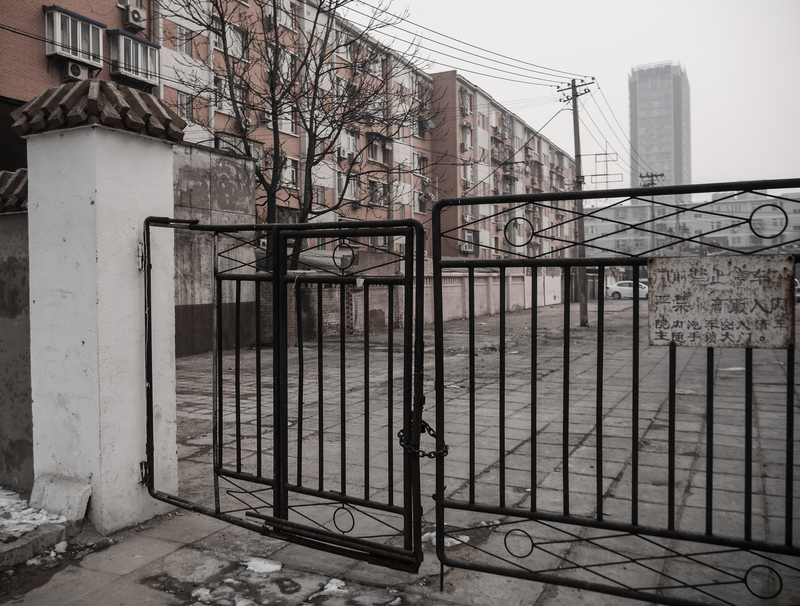 As I’ve mentioned in a previous post, there have been substantial renovations of older apartment buildings in Beijing over the last couple of years. The buildings on the left have both had recent makeovers. What also happens during such work is that more makeshift buildings are torn down. This courtyard used to have a long line of such structures. Although probably not safe or legal, I think the businesses that used the buildings added a certain vibe to the city… people sitting outside during the hot summer nights, talking, smoking, eating chuan, and drinking beer.